Buy 10+ for £5.75 each. 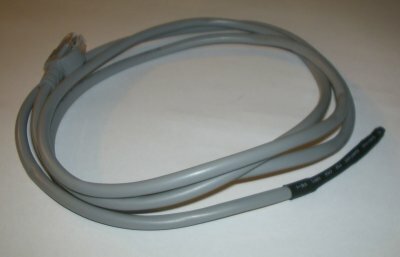 A simple temperature sensor consisting of a DS18B20 sensors on 2m of cable with an RJ45 plug on the other end. Wired for parasitic or external power (see options below). Unsure which power option to choose? See the SWE0 Information page linked below for further information.